We use the latest in estimating technology with CCC Pathways. This is a web-based system that receives real-time updates on parts and pricing to give the customer the most accurate estimate. If framework is needed, then we are prepared with our Chief frame machine. When the time has come to paint our customer’s vehicle, we use only the highest grade paint from PPG for the best possible results. Our computerized color paint decoder lets us match your vehicle's color to meet factory specifications. As always with PPG refinishing, your paint repair is guaranteed for as long as you own your vehicle. 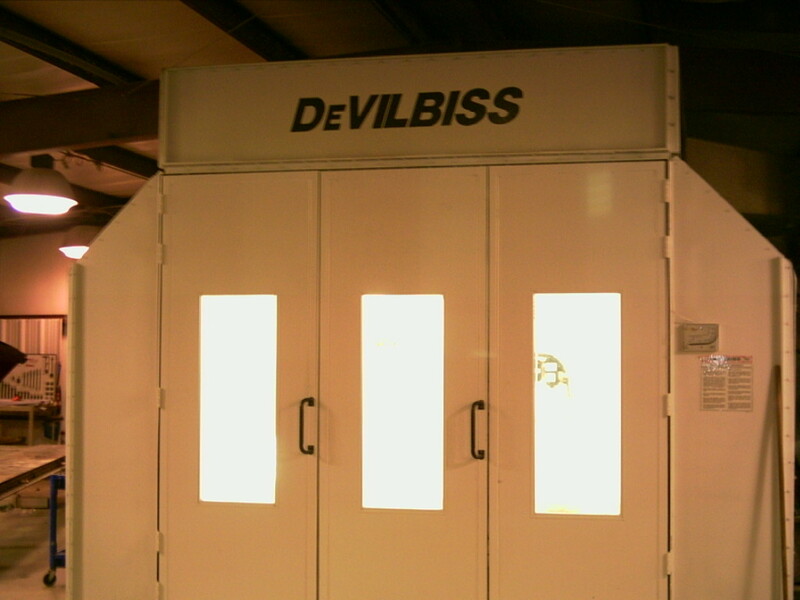 Our DeVILBISS Paint Booth is downdraft with a BTU forced air unit that gives a smooth and clean refinish in a dirt-free environment. It's environmentally safe, with air that's filtered both on intake and exhaust. Our UniCure Paint Booth is a semi-downdraft forced air unit that gives a smooth and clean refinish in a dirt-free environment. It's environmentally safe, with air that's filtered both on intake and exhaust.